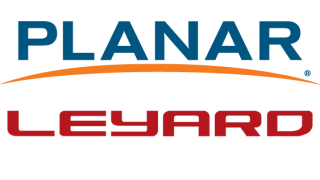 Planar and Leyard have added three new sales managers: Josh Tonasket, Mitch Rosenberg, and Todd Dunlop, who will cover Northern California, the heartland territories, and the Southwest region, respectively. Tonasket comes to Planar and Leyard with 10 years of experience in the digital signage industry and has significant technology expertise in large-format LCD displays. His background includes selling into a wide range of markets including retail, pro AV, and IT. Rosenberg will manage the company’s sales territory of Kansas, Oklahoma, Missouri, and Arkansas. He joins the company with more than two decades of experience in the pro AV industry, most recently as director of business development for Prysm. Rosenberg’s previous positions include director of sales for Christie Digital and regional director of sales for Barco. His history also includes development and implementation of training and consultant programs. Dunlop will lead the company’s sales efforts for Nevada and Arizona. He has 15 years of experience in the display industry working for manufacturers including LG, Panasonic, Epson, and Optec LED.